THIS WEEK’S TWO OTHER FEATURED BOOKS, “GRAVITY,” BY ELIZABETH ROSNER AND “FLIP FLOPS AFTER 50,” BY CINDY EASTMAN, CAN BE FOUND BY SCROLLING DOWN BELOW THIS POST, OR BY CLICKING THE AUTHOR’S NAME ON OUR AUTHOR PAGE. SUMMARY: Following the India-China war of 1962, the Chinese Indians (the Hakka), fearing suspicion and hostility, begin to emigrate. 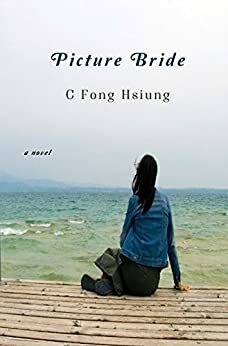 In Picture Bride, set during a period of changing times and changing values, twenty-year-old Jillian Wu leaves Calcutta to marry a man she has never met—Peter Chou, also a Hakka—with much anticipation, only to discover that he is gay. Forced by her husband to keep up the charade of a “normal” marriage, and pressured by her in-laws to have a child, she flees back to Calcutta, only to be disowned by her conservative family. A moving story with political overtones, Picture Bride confronts the politics of family, culture, and women’s rights. THE BACK STORY: During the late twentieth century, many Chinese Indian women went to Canada to get married. Often, these women met their fiancé for the first time upon arrival at the airport. While the majority of these marriages endured, some were fraught with problems from the onset because the matchmakers or the prospective grooms were less than honest. The author had heard stories about some of these women. She wanted to give them a voice. WHY THIS TITLE? : Picture Bride is a reference to the way the couples were introduced. WHY SOMEONE WOULD WANT TO READ IT: This is a relatable story about family, culture and tradition, with intriguing twists that will compel you to turn the pages. 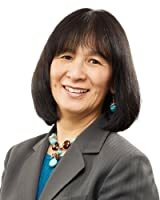 AUTHOR PROFILE: C. Fong Hsiung, a Hakka Chinese from Kolkata, India immigrated to Canada in 1977. In addition to her novel, Picture Bride, Life Rattle Press published her short story, Alfie (The Totally Unknown Writers Festival 2012). She has completed another novel, and will begin the publication process soon. While accounting pays Fong’s bills, writing feeds her soul. Curiosity is her companion. Her creed for life: never stop learning. AUTHOR COMMENTS: It’s the author’s hope that by writing this story, she documents for posterity a community in Kolkata (old name Calcutta), India that is slowly becoming extinct. The Chinese Indian population, at its peak, was in the thirty-thousands. Today only a few thousands remain.